Why Do Scuba Divers Use Nitrox? 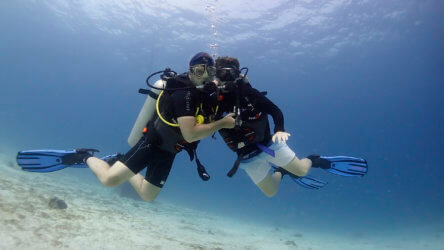 A Certification Every Scuba Diver Should Consider But Why? Nitrox or Enriched Air Nitrox to give it’s full name is the most popular PADI speciality course that we teach and for good reason. It’s relatively cheap, can be done in one day, straight forward and really is beneficial to the diver. Excessive absorption of nitrogen into our body tissues is the factor that limits a divers time underwater. So by simply putting more oxygen into our scuba tank, therefor reducing the amount of nitrogen we in turn reduce the amount that our body absorbs. Which will extend our diving time at given depths. Got it? There is of course much more to learn about diving with Nitrox and that’s why you should take the PADI EANitrox specialty. 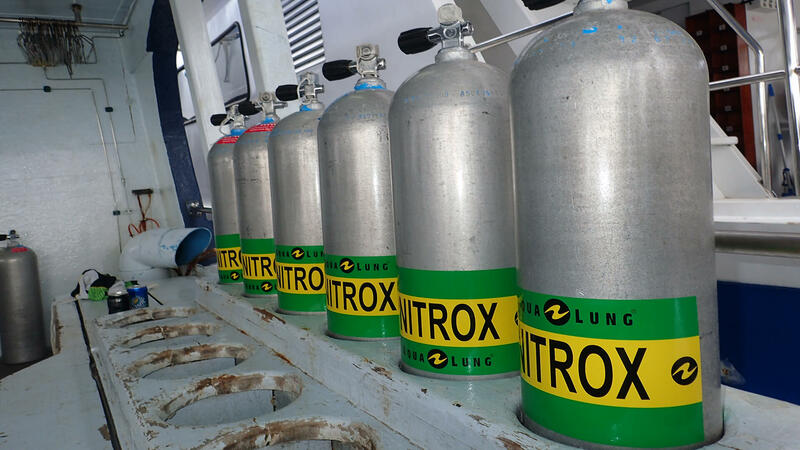 Using Nitrox when scuba diving has considerable benefits but just like everything else that’s good in the world it does come with some risks and considerations that have to be factored in. Being of an optimistic nature we’ll start with the good stuff. Oxygen at depth becomes toxic to us so we do have to track the amount of oxygen we absorb and keep a close eye on our depth. There are specific depth limits that need to be strictly adhered to with every different blend of Nitrox. If you go over the limits then you risk oxygen toxicity, a rather nasty consequence that can be easily avoided by simply diving conservatively. In our opinion the benefits far outweigh the few negatives and that’s why we’ve installed a Nitrox membrane system on MV Kebsup. This simple course is a must for all serious divers and a great benefit to those who only get to dive a few times a year. Mention this post and get a full days Nitrox for free! Posted in The Archives on April 3, 2017 . Local Dive Thailand is one of Phuket's fatest growing & most vibrant scuba diving operations, we are always looking for quality staff to join us, so feel free to have a look at our jobs listing page. Don't trust your diving to amateurs or freshly minted dive guides, dive with local experienced experts from Local Dive Thailand. Our Scuba Diving Phuket Tours will take you to see the rarest of the rare critters, you will be amazed by the macro life our guides can find, in the secret places only they know. To put it in perspective, if you were going to climb Mount Everest you would certainly hire a local sherpa to lead the way & keep you safe. Diving is similar because there is absolutely no substitute for local experience & local knowledge, Local Dive Thailand's guides are Phuket's Sherpa's of the Andaman Sea! 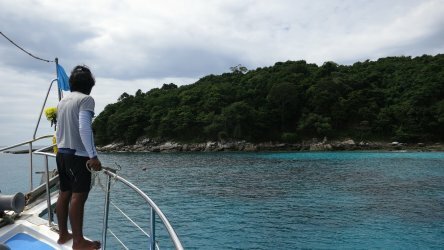 When talking about Scuba Diving in Phuket, you should believe the hype, many seasons we have had Whale Sharks grace us on our regular and easy to reach dive sites and on a good day you can add Sea Horses, Sea Moths, Snake Eels, Frog Fish & Octopus to what you can see on any given dive and so much more. 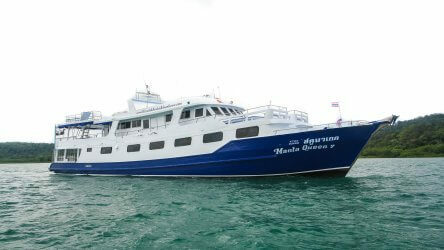 If we are heading to Phi Phi Island for the day, you can possibly see Hawksbill Sea Turtles and Black Tip Reef Sharks, also don't forget the King Cruiser, 84 meters of beautiful wreck and the most amazing reef nursery for fish and nudibranch. Local Dive Thailand day trip tours to these locations are not to be missed when you are scuba diving Phuket, get in touch with us and book an 'awesome' day of diving. See why we are Thailand's leading scuba diving Phuket tour provider, stay up to date & watch out for news & special liveaboard offers! 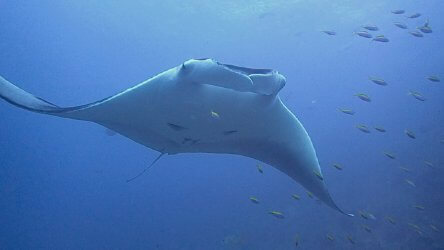 What Are My Chances of Diving With A Manta Ray In Phuket? 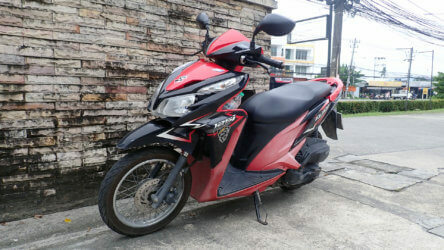 Local Dive Thailand is Phuket's most beloved scuba diving phuket tour providers. We are one of only a few dive shops in Phuket who have our very own dive boat, so we can always guarantee you and your divers the best day trip diving and most comfortable spaces for PADI courses & fun diving while onboard. LDT is working everyday to improve our dive tours and Phuket scuba diving services, so come join us and see why diving local is the only way to truly experience the underwater world here in Phuket, Thailand! Am I Fit Enough To Scuba Dive?